We Love Our Military Personnel! At Tim Dahle Nissan Murray we absolutely love our brave, selfless, and patriotic military personnel. Moreover, we appreciate all their sacrifice and the sacrifice of their families in working hard to keep America free. Nothing could ever begin to repay the debt that they are owed as Air Force, Army, Coast Guard, Marines, and Navy warriors. Having said that, we’d also like to make them aware that we are the Murray, Salt Lake City, West Valley City, area Nissan dealership and we are proud to offer our valued local military personnel exclusive military appreciation discounts on every new vehicle in our inventory. At Tim Dahle Nissan Murray, we also offer many flexible financing options for Hill Air Force Base, Camp Williams, Dugway Proving Grounds, Tooele Army Depot. Or The Kearns Army Air Base. (and other local) military personnel to ensure that you can get the new Nissan of your dreams as soon as possible. Consider the massive inventory of new Nissan vehicles available to lease or purchase and continue reading for more details on how to cash in with military discounts offered exclusively to active and reserve military personnel and recently retired military personnel (within the last 12-months). We are honored to have you participate in this program, which we like to call “Operation Appreciation”, and we appreciate your service. Our program offers you special pricing and financing if you are eligible. Spouse (or partner) of an active member of the U.S. military. Retired from active duty in the U.S. Military within the last year. 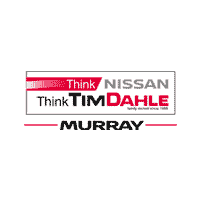 If you are in the Murray, Salt Lake City or West Valley area, the friendly folks at Tim Dahle Nissan Murray want to be your “go-to-guys” for Nissan sales and service. Our experienced hard-working sales staff can help you locate the vehicle that you like with just the right equipment to meet your specific needs. After the sale, our service department is there to expertly maintain and repair your Nissan. We take pride in our reputation of treating all our customers with integrity and respect, in all facets of our operation. Once you have chosen a stunning new Nissan car, truck, van, or SUV, you will need to obtain a Vehicle Purchase Plan (VPP) Claim Identification. This can be done by visiting the secure Nissan website at www.nissanusa.com/military.html and submitting some pertinent information. Once you have received your VPP Claim ID, take it to Tim Dahle Nissan Murray and present it to one of our friendly sales professionals to proceed with the next step in making you the proud owner of an innovative new Nissan. A hassle-free no haggle buying experience. Your VPP Military discount can be used in conjunction with other factory offers and incentives. Nissan Motor Acceptance Corporation (NMAC) lease specials and APRs still apply.